It was a sign of trouble for hundreds of Hawaiian papaya farmers who, for the next several years, would lose field after field of their crop — altogether an $11-million dollar industry. 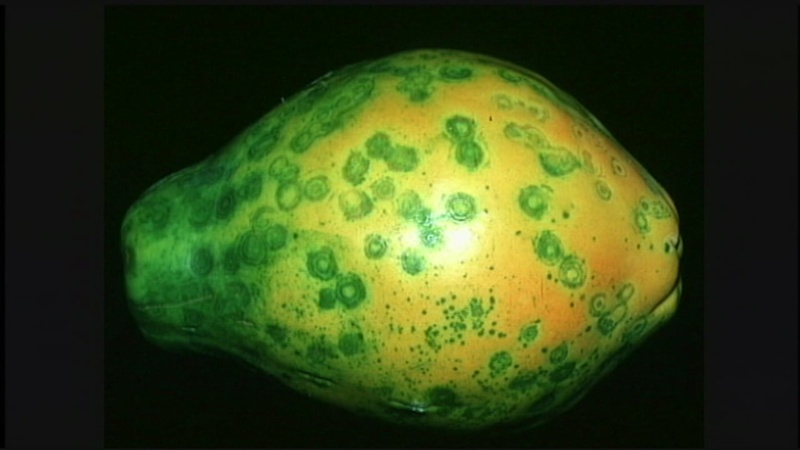 The culprit was an incurable virus called Papaya Ring Spot Virus. 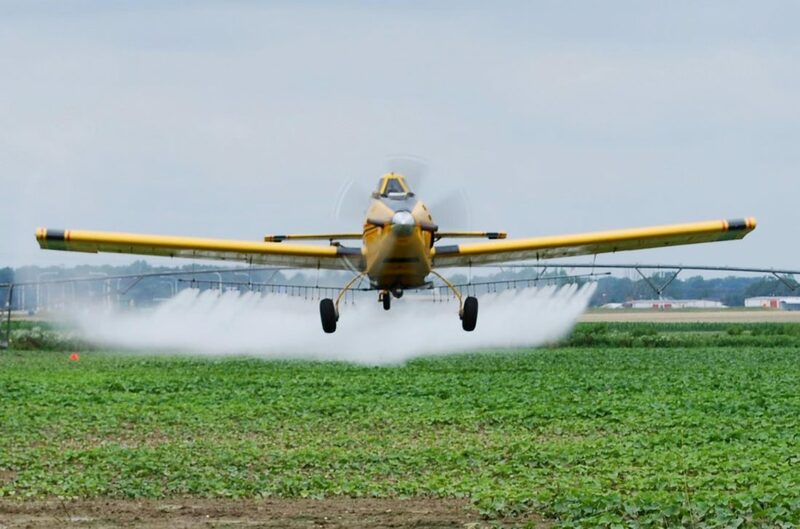 There’s a lot of talk about genetically modified crops today, but the truth is that there are only eight kinds that are currently approved for commercial production — though there are also a number that are considered “at risk” (sometimes classified as “monitored risk”) because they are susceptible to cross-pollination by approved GMOs (these include flax, wheat, rice, Beta vulgaris [chard, table beets, etc. ], Brassica napa (rutabaga, Siberian kale, etc. ], Brassica rapa (bok choy, mizuna, Chinese cabbage, turnip, rapini, tatsoi, etc. ], and Curcubita [acorn squash, delicata squash, etc. ]).